Odysseus' men were turned into swine, but Odysseus escaped with the help of a magical herb, moly, given to him by HERMEs. He forced Circe to restore his men to their human form. Nevertheless, he was so taken with her that he spent a year with her. She was slain by Telema-chus, who married her daughter, Cassiphone. Circle Sanctuary One of the most active and well-established interfaith Pagan centers. Circle Sanctuary, a Wiccan church, is located on a 200-acre nature preserve and herb farm between Mt. Horeb and Barneveld, Wisconsin. Circle was formed in 1974 in Madison, Wisconsin, by sELENA Fox with the help of Jim Alan and a small group of Pagans. Fox continues to direct its activities with her husband, Dennis CARPENTER. Circle originally was formed as an informal coven, after Fox conceived the idea, name and logo in a meditation. Fox and Alan drew on their musical backgrounds to create a body of Pagan RITuAL chants and songs, which continue to be used by Wiccan and Pagan groups around the world. Circle quickly took a leadership role in the growing Pagan community, providing a national and international contact service, organizing and coordinating gatherings, and disseminating information to individuals and groups within the movement, the general public and the media. In 1978, the networking activity led to formation of Circle Network, which has grown to include membership of thousands of organizations and individuals from Pagan and Wiccan traditions, magical traditions, animistic and shamanic traditions and others. Members are in more than 50 other countries. 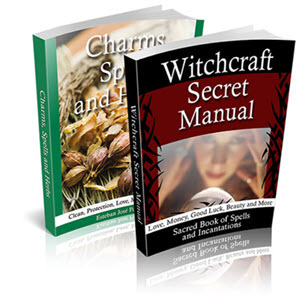 Circle's guide to Pagan resources has been published continuously since 1979. Also in 1978, Circle Sanctuary was incorporated as a nonprofit religious organization and a legally recognized church at the state level. A newsletter, Circle Network News, was started. It expanded to a magazine format, Circle Magazine, in 1998 and remains one of the oldest and the largest of Pagan journals. In 1980, Circle was recognized as a church at the federal level. The Pagan Spirit Alliance was organized as a special network within Circle Network devoted to fostering friendship among Wiccans and other Pagans through the mail. The Alliance eventually was folded into Circle Network. summer solstice at a private campground in the Midwest and one of Paganism's oldest and most established festivals. The church also coordinates or assists other Pagan gatherings held around the United States. From 1974 to 1982, Circle was based in various homes. In 1983, the church used its own funds to purchase a 200-acre nature preserve in rural hill country west of Madison. The land has a rich spiritual heritage, and includes sites once used by ancient Indians. The region is said in local legends to be enchanted with trolls, FAIRIEs and nature spirits. Sightings of ghosts, spirits, Bigfoot, UFOs and other unusual phenomena are often reported. But a year later, in 1984, local residents who were fearful of possible "devil-worship" at Circle raised zoning issues. After four years of legal battles, Circle won the challenges, and Circle Sanctuary and its 200 acres were zoned for church use. Circle became the first Pagan organization to achieve the recognition of Witchcraft as a legal religion by a local government in a public hearing. Circle was assisted by the American Civil Liberties Union. Numerous religious, educational, therapeutic and spiritual training activities take place on, or are coordinated from, the Circle Sanctuary land. As ministers, Fox, Carpenter and others perform HANDFAsTINGs, child blessings, funerals and other "life passage" ceremonies at Circle and all over the United States. They also conduct Pagan seasonal festivals, full Moon ceremonies and a variety of training programs, including intensives for Pagan ministers and a School for Priestesses, established in 1986. The church also does organic gardening, wild plant foraging activities and preservation work for frogs, toads, songbirds and other species, and for wetlands, woodlands and prairie. Circle's Lady Liberty League, founded in 1985, formerly known as the Pagan Strength Web, includes Pagan religious freedom activists who help Pagans who are being harassed or discriminated against because of their religion. Fox and Circle played leading roles in 1985 in a lobbying campaign against the Helms AMENDMENT in the U.S. Congress, which sought to prohibited Wiccan churches from having nonprofit, tax-free status. Since the late 1980s, Circle has achieved greater public recognition and acceptance as has Paganism in general. In 1988, Circle became the first Wiccan church to be listed in the religious directory of Madison's leading newspapers. Fox also serves on the Board of Advisors of the Madison Area Interfaith Network. In the same year, Circle established its growing inter-faith presence with representation at the World Council of Churches International Interfaith Dialogue Conference, marking the first time that Goddess spirituality and Paganism were represented at an international interfaith conference. Fox was joined by Margot ADLER. In 1991, Circle assisted other Pagan groups in defeating a proposed network television series unfriendly to Witches. The Pagan Academic Network was formed within Circle Network in 1992, becoming Paganism's first intertradition network of Pagan scholars. Circle participates in numerous international academic seminars, conferences and networking, in response to the establishment of Paganism as an area of academic interest. Circle provides academic archives and research assistance for scholars. Circle joined other Wiccan-Pagan groups to lobby for the right of Wiccan-Pagan military veterans to have symbols of their faiths on their tombstones. The campaign, started in 1997, took years. 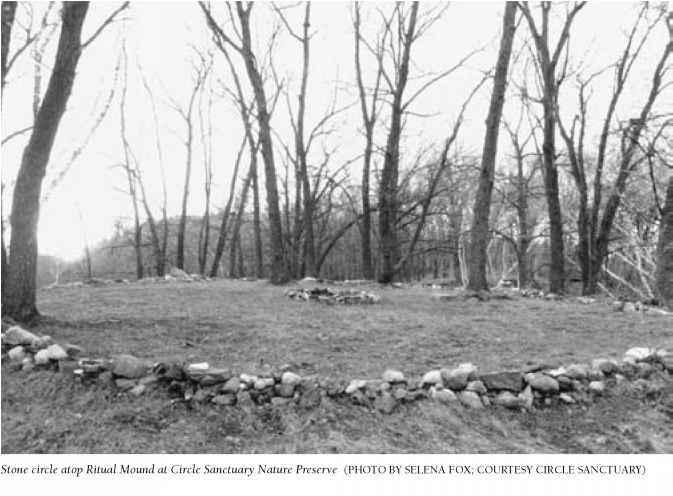 In 1995, Circle Cemetery was founded on Circle land for cremains, the cremated remains of Wiccans and Pagans. The cemetery is now 20 acres in size. In 2007, three veteran gravestones with pentacles, among the first to be issued by the U.S. Department of Veterans, were dedicated. Circle Sanctuary Web site. Available online. URL: http://www. circlesanctuary.org. Downloaded September 23, 2007. Clan of Tubal Cain Influential Witch mystery tradition founded by Robert Cochrane in England in the 1950s. The Clan of Tubal Cain, named after the legendary Hebrew blacksmith, Tubal Cain, was never intended by Cochrane to become a religion. Its concepts were passed to America in the 1734 Tradition and also were absorbed into the Roebuck Tradition and Ancient Keltic Church. Cochrane, who claimed to come from a long line of hereditary witches, worked for a while as a blacksmith and also lived on a canal boat. The Clan had its roots in his own family tradition, as well as in the folklore he absorbed from blacksmithing and canal life. I am a witch descended from a family of witches. Genuine witchcraft is not paganism, though it retains the memory of ancient faiths. It is a religion mystical in approach and puritanical in attitudes. It is the last real mystery cult to survive, with a very complex and evolved philosophy that has strong affinities with many Christian beliefs. The concept of a sacrificial god was not new to the ancient world; it is not new to a witch. Mysticism knows no boundaries. The genuine witch is a mystic at heart. Much of the teaching of witchcraft is subtle and bound with poetical concept rather than hard logic. I come from an old witch family. My mother told me of things that had been told to her grandmother by her grandmother. I have two ancestors who died by hanging for the practice of witchcraft. The desire for power may have been the motive behind the persecution of witches . . .
One basic tenet of witch psychological grey magic is that your opponent should never be allowed to confirm an opinion about you but should always remain undecided. This gives you a greater power over him, because the undecided is always the weaker. From this attitude much confusion has probably sprung in the long path of history . . .
. . . It [witchcraft] is concerned with the action of God and gods upon man and man's position spiritually. Cochrane preferred the term clan to coven, and he openly despised GERALD B. Gardner and his followers. The structure of the Clan was loose; rituals, which were shamanic in nature, were conceived as Cochrane went along. Inner planes contacts and alignment with natural forces formed the basis of magical workings. The Clan worshiped the Goddess and Horned God and conducted rituals outdoors when possible, dressed in black hooded robes. The Clan observed the same SABBATS and ESBATS as Gardnerian and Alexandrian traditions, the dominant ones of the time. Principal working tools were a stang, a forked staff that represented the Horned God, a cauldron for the Goddess, a cup made of horn, a cord and a whetstone. There was only one degree of initiation. Cochrane liked to use herbal psychedelics as part of his own practice; it is not known how many of the Clan followed suit. The sacred contents of the Cauldron were the Aqua Vitae, the Waters of Life, laced with fly agaric or peyote. The Clan was never big. When Doreen VALIENTE was initiated into it in 1964, members included Cochrane (as Magister) and his wife, Jane, and three men. A woman member had recently left. Two women joined later. In the 1960s, Cochrane began writing articles for The Pentagram, a short-lived publication. The Pentagram attracted the attention of an American Witch named Joe Wilson, who placed an advertisement in it asking for correspondence from interested parties. Cochrane responded, and the two exchanged numerous letters for about six months until Cochrane's death by apparent ritual suicide at the summer solstice in 1966. In his first letter to Wilson, dated December 20, 1965, Cochrane asked if Wilson understood the meaning of "1734." It was not a date, but a "grouping of numerals that means something to a 'witch,'" he said. He explained that 1734 is the witch way of saying YHVH (Yod He Vau He), the Tetragrammaton, or holiest name of God. One becomes seven states of wisdom, represented by the God dess of the Cauldron. Three are the Queens of the elements (water, air and earth—fire belongs to man); and four are the Queens of the Wind Gods. Cochrane believed that America had the right mystical underpinnings—the stars on the American flag are pENTAGRAMS, he pointed out—and he liked the rapport with Wilson. He transmitted his philosophy and some of his rituals in his letters. Cochrane was fond of teaching in riddles, poems, dream images and mysteries. "There is no hard and fast teaching technique, no laid down scripture or law, for wisdom comes only to those who deserve it, and your teacher is yourself seen through a mirror darkly," he told Wilson. He signed many of his letters "Flags Flax and Fodder," which he translated as a blessing by water, air and earth. Do not do what you desire—do what is necessary. Take all you are given—give all of yourself. "What I have—I hold!" When all is lost, and not until then, prepare to die with dignity . . . and return to the womb of the Dark Goddess to give life another try until the wheel of rebirth is finally broken. After Cochrane's death, Wilson founded the 1734 Tradition. In 1969, he traveled to England while enlisted in the U.S. Air Force and was able to meet some of Coch-rane's clan members. The 1734 Tradition is a family of covens with roots to the Clan of Tubal Cain, integrated with the teachings and ideas of other streams of WICCA and PAGANISM. It does not have an initiation lineage by authority; one can join without being initiated by an elder. Wilson died in 2004. In 1976, Americans David and Ann Finnin founded the Roebuck Tradition based on the 1734 Tradition. In 1982, English magician William S. Gray, a friend of Cochrane's, put the Finnins in touch with Evan John Jones, one of the original Clan members. The Finnins served a two-year apprenticeship with Jones and were adopted into the Clan with the power to carry it to America. In 1989, the Roebuck incorporated as the Ancient Keltic Church, based in Tujunga, California.